Today is the last day of summer, which means "Spray Paint Season" is ending. I’m so happy I had a chance to indulge in over half a dozen spray paint projects this summer. Each revamped item added a touch more pretty to our ever improving home. 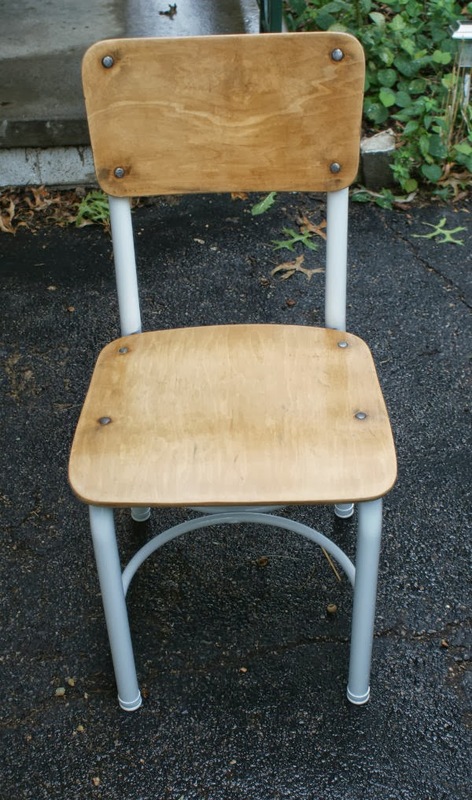 This fall, Jesse and I will be preparing the outside of our house for winter (raking, cleaning gutters, staining both the deck and shed) so this vintage school chair will probably be the last spray paint project until spring. We needed a chair to go with B’s desk and the one I was eyeballing from Land of Nod was $69. 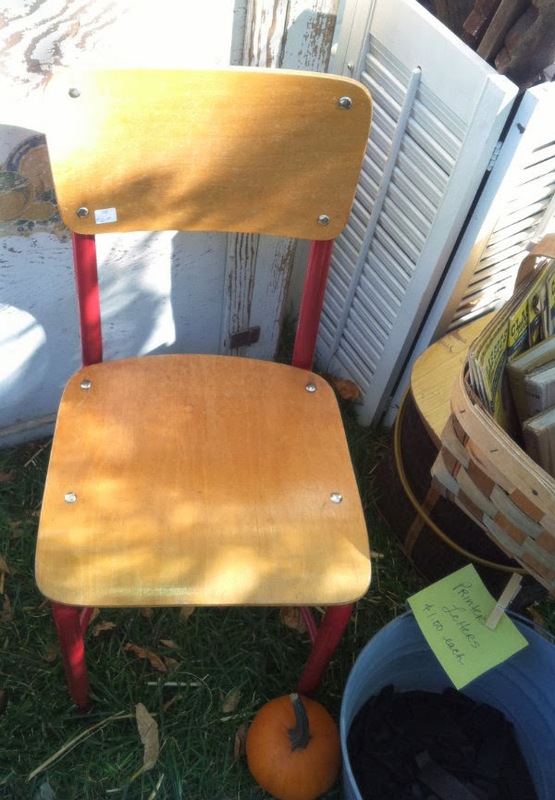 I thought I might save some cash by going with a vintage school chair, but it didn’t exactly work out. The chair was $45 (did I pay too much?) and re-finishing materials were $15. I didn't save much money, but the vintage chair is more unique, more us. Plus, I got to practice my wood re-finishing skills and seeing/creating the transformation was super gratifying. Ta-da! 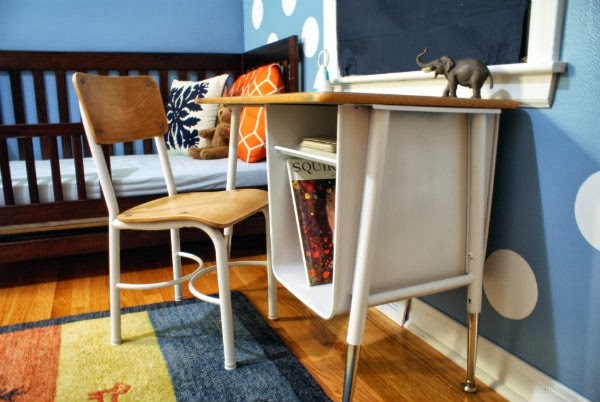 Isn't that the cutest 'lil desk and chair?! This project was fun, but I don't think I will ever take on a large piece of furniture, sanding is way too tedious! Have you ever refinished (sanded + stained) a piece of old furniture? How'd it go? 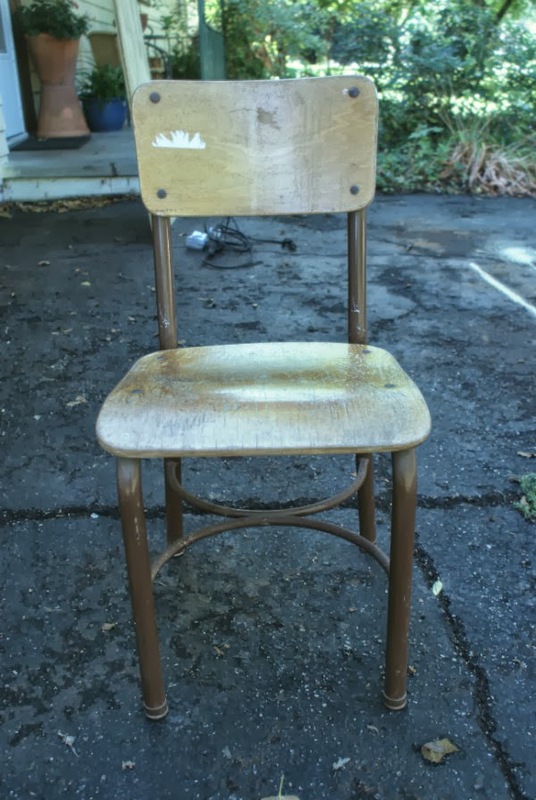 I paid way too much for my vintage school chair! They were everywhere at Junkstock and most were priced under twenty dollars. This school chair was already nicely re-finished and the dealer only wanted sixteen dollars for it. Sixteen dollars! Ouch! I'm embarrassed to say that I should have started my hunt by at least performing a five minute Google search to see what a fair price would be. Ugh. Lesson learned.